I still can’t quite believe that it’s been 10 years since Firefly aired on TV. Or that it’s been 7 years since Serenity was released in cinemas… have I made you feel old now? 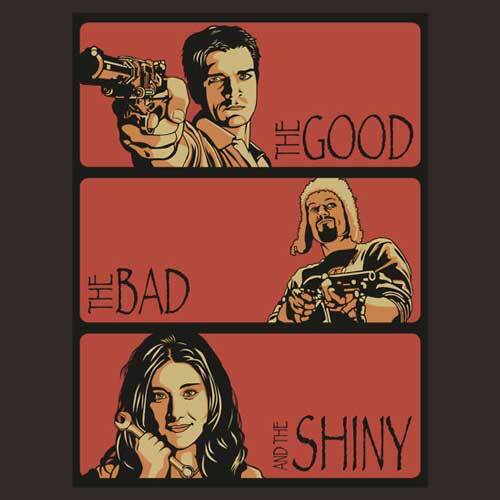 To cheer you up, here’s a shiny Firefly tee: The Good, The Bad and The Shiny ($24.54). 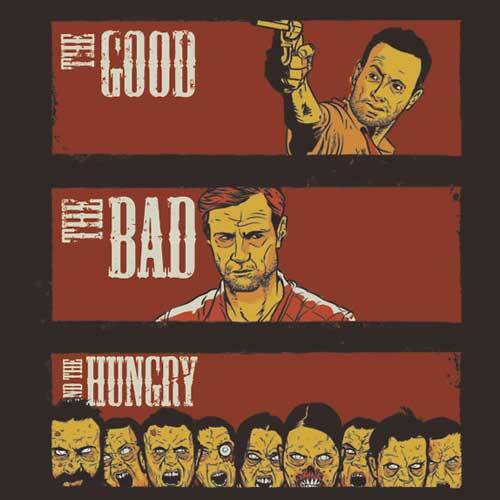 There’s also a Walking Dead one that uses the same principle: The Good, The Bad and The Hungry ($28.91).